Vans has been a staple of sneaker culture for decades now. Despite being in the game for so long and having so many classic models and silhouettes, the brand is still out to reinvent itself and create something unique. An example of this is how the brand has updated the infamous Sk8-Hi. Recently, the brand introduced the Sk8-Hi Re-Issue which is a deconstructed look at the silhouette, reminiscent of what Virgil Abloh did with his Nike collection. These kicks have zippers on the side with materials draping past the midsole. In the latest version of the Sk8-Hi, Vans is getting ambitious with the "Animal Pack," which is a mismatched sneaker that features tiger print, leopard print, and pony hair all throughout the shoe. There are plenty of fine details on this shoe. 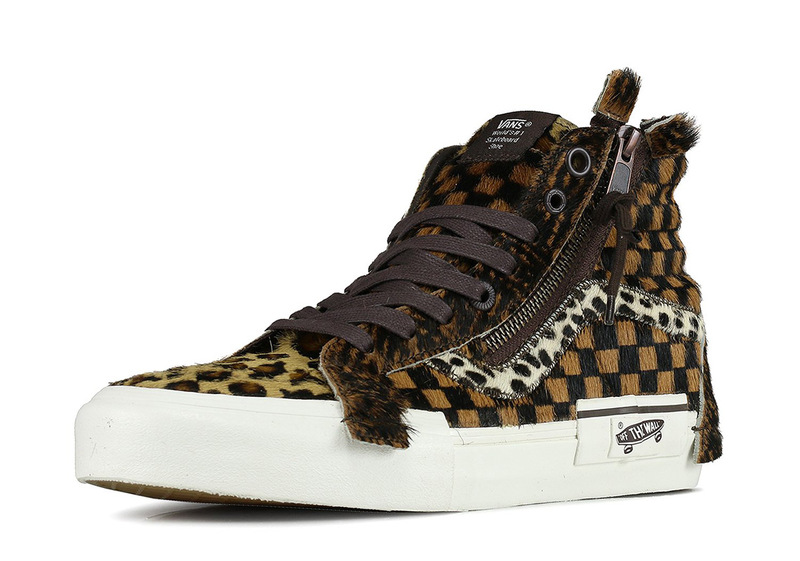 The toe box has the leopard print while the tiger print on the side contains Vans' signature checkerboard pattern. These sneakers look and feel like animal fur, which further adds to their wild aesthetic. They come complete with a zipper on the sides as well as some brown laces that blend into the shoe. According to Sneaker News, there is no USD price associated with these sneakers and will be releasing in the United States soon.